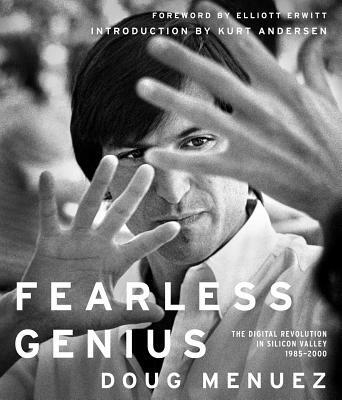 An award-winning documentary photographer delivers a stunning visual history of the Silicon Valley technology boom, in which he was witness to key moments in the careers of Steve Jobs and more than seventy other leading innovators as they created today’s digital world. From there, the project expanded to include the most trailblazing companies in Silicon Valley, all of which granted Menuez the same complete access that Jobs had. Menuez photographed behind the scenes with John Warnock at Adobe, John Sculley at Apple, Bill Gates at Microsoft, John Doerr at Kleiner Perkins, Bill Joy at Sun Microsystems, Gordon Moore and Andy Grove at Intel, Marc Andreessen at Netscape, and more than seventy other leading companies and innovators. It would be fifteen years before Menuez stopped taking pictures, just as the dotcom bubble burst. An extraordinary era was coming to its close. With his singular behind-the-scenes access to these notoriously insular companies, Menuez was present for moments of heartbreaking failure and unexpected success, moments that made history, and moments that revealed the everyday lives of the individuals who made it happen. This period of rapid, radical change would affect almost every aspect of our culture and our lives in ways both large and small and would also create more jobs and wealth than any other time in human history. And Doug Menuez was there, a witness to a revolution. In more than a hundred photographs and accompanying commentary, Fearless Genius captures the human face of innovation and shows what it takes to transform powerful ideas into reality. Doug Menuez is an award-winning documentary photographer whose varied career over thirty years began in 1981 at The Washington Post, then as a freelancer for Time, Newsweek, Life, Fortune, The New York Times Magazine, and many more publications. His many awards include honors from Communication Arts, the Kelly Awards, AOP London, and Photo District News, among others. He has been exhibited in solo and group shows in the US and Europe. Stanford University Library acquired his extensive archive of more than 1 million photographs and created the Douglas Menuez Photography Collection at Stanford University Library. He is based in New York City. "Instructive... Interesting... A vital piece of photographic history."